The Narendra Modi biography industry was in full spate when the Prime Minister was still on the campaign trail. In contrast, Manmohan Singh was prime minister for 10 years, in which no one thought of bringing out a biography of the reclusive academician-turned-civil-servant-turned-politician. His daughter, Daman Singh, has now decided to fill the lacuna. Daman, a writer and rural development worker, had a tough time convincing her father to talk about the past. Her mother Gursharan Kaur was more forthcoming and provided her insights into Singh’s life, career and marriage. Unfortunately, since Daman has refrained from writing about her father’s crucial years as prime minister, her take on her parents’ lives loses much of its popular appeal. However, Singh’s rise from the small village of Gah, now in Pakistan, to become a key economist and bureaucrat of the country, is as remarkable a progression as Modi’s much-touted makeover from humble chaiwalla to prime minister. Singh’s early education was in the village school at Gah, which could provide only rudimentary lessons. 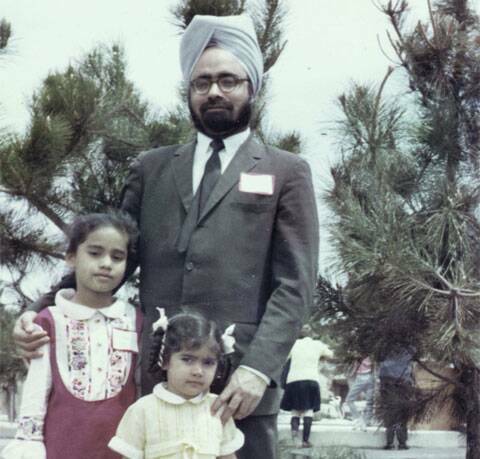 His father Gurmukh Singh had just about made it through middle school to become a clerk for a commission agent dealing in dry fruit. His grandfather was illiterate. At the age of 11, Singh moved to Peshawar, where his father remarried and had a second family.There was much tragedy in Singh’s early years. His mother died when he was very young. Partition uprooted the family, which lost what little it had. His father went missing for months, his stepmother lost her mental balance. But Singh seems to have borne his lot with stoicism. When he took his final school exams in Peshawar, he had to make his way to the examination centre through streets littered with corpses. Throughout his student life, Singh established his academic brilliance. He topped the exams in Panjab University and later obtained a first in his Tripos in economics at St John’s College, Cambridge University. Cambridge was a completely alien environment but he enjoyed himself, even though he was hard pressed for cash. Sometimes, he survived on chocolate bars till he received his meagre remittance from home. When he returned from England, Singh was quite a matrimonial catch. Gursharan Kaur was beautiful, loved music and had an outgoing personality. The first question Singh asked his prospective wife was, “What division did you get in BA?’’ The reply — “Second class’’ — seemed to have satisfied him, though he did go to her college to check out her academic credentials with the principal. The marriage blossomed despite their very different temperaments. The turning point in Singh’s career was in 1991 when, in a surprise move, Prime Minister Narasimha Rao asked him to be finance minister. International confidence in the country was at an all-time low, Indian gold had to be pledged with the Bank of England, the rupee was in free fall and there was a danger of India defaulting on its payment commitments. It was Singh who, with Rao’s backing, led the country on the road to economic reform. The measures he advocated were against the fundamental economic principles which the Congress had stood for in the past. Perhaps, because of her natural awe and regard for her father, Daman’s book fails to provide a flesh-and-blood portrayal of Singh’s enigmatic and retiring personality. She acknowledges that within the family, her dynamic mother is the focal point, acting as go-between between the taciturn father and his three lively daughters, each with a mind of her own. But it is hard to sustain the reader’s interest with dry accounts of the institutions for which Singh worked and the jobs he held without even a single mention of the much-debated relationship between Sonia Gandhi and the man she appointed prime minister.